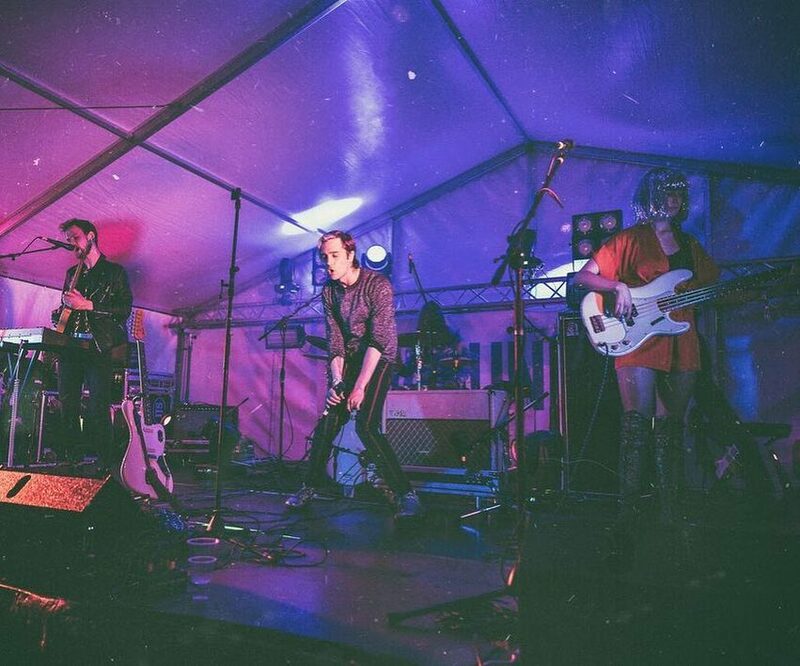 Meet Not A Boys Name (NABN), a project by Sydney’s Dave Jenkins Jr. With a vibrant rocker attitude, NABN has shot into our lives with his single ‘Hazard Perception Test’, and a series of sensational shows. We caught up with the muso to chat about his music career, experience at BIGSOUND 2018, and much more. Futuremag Music: Hey NABN, how's life the universe and everything? Not A Boys Name: It’s Spring, there is hope in the universe and everything’s gonna be fine. Futuremag Music: Can you talk us through your experiences and relationship with music over the years? How did the NABN project come about? Not A Boys Name: It all started when I was a kid. My old man played drums so we always had a kit and a couple of guitars lying around. I used to record myself messing around on all the instruments and make up weird little songs. This whole project is an extension of that. As soon as I figured that out the musical floodgates opened up and this project was born. Futuremag Music: Thanks for taking over our instagram at BIGSOUND, looked like you had a blast! Can you talk us through your shows at the showcase, and a general overview of the whole event? Not A Boys Name: Oh man I love BIGSOUND, There’s nothing quite like it. It’s an exhausting few days, but it’s also super exhilarating..and so it should be. I had a great couple of shows, and used the whole event as an excuse to push the live show to where it needs to be, both musically and visually. Creating the world. That whole thing. Futuremag Music: Can you talk us through the process of producing and writing 'Hazard Perception Test'? What's your favourite aspect of the single? How did the music video come together? Not A Boys Name: ‘Hazard Perception Test’ is the song that really kick started this project. This song poured out of me in one afternoon and as soon as I had the chance to listen with some perspective it was like the world sped up and the future became visible. The concept for the music video was something that developed over several conversation with Matt Sav (director). I’d wake up at 4 in the morning with some insane idea and email Matt immediately. I always wanted to be walking in the video, but we also wanted it to be a little surreal and we wanted to break lots of things. The treadmill seemed like a happy compromise. Futuremag Music: What can we expect from you in the future? Not A Boys Name: I would like to make a short film, or an extended music video..something that is totally immersive for the viewer. Maybe go on a world tour too… Anywhere in the world. Or maybe I could tour other worlds? A tour of worlds. Futuremag Music: If 'Not A Boys Name' was a cocktail, what would be in it to best describe yourself and your music? Not A Boys Name: I am a Long Island Ice Tea for sure. There’s a lot of different booze in there… Maybe some fruit? Add to that a bucket load of sweet and fizzy stuff, et voila.